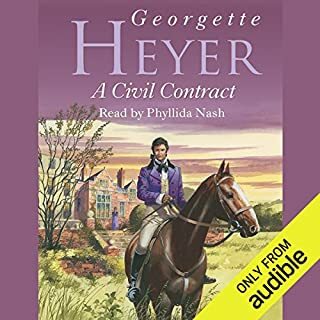 ©1959 Georgette Heyer (P)2014 Audible, Inc. I was sorry to get to the end of this one. I only discovered the book ten or so years ago, no idea why I'd missed it in my teens. The whole mix of the normal Regency manners with down to earth Yorkshire ex-Army, plus the smugglers, is great, topped off by that frantic evening pulling the wool over the eyes of the poor conscientious Riding Officer. Daniel Philpott brings all the strands and characters together perfectly. Loved it. This book was thoroughly enjoyable, the reading was good by Daniel Philpott, with very natural voices for the characters. The book itself was an amusing and entertaining story with wonderful characters. 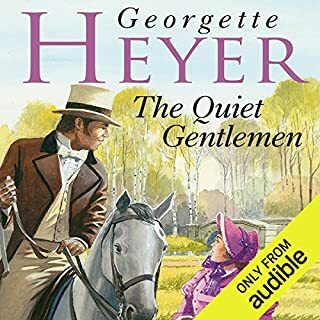 What a pleasure to have one of my favourite Georgette Heyer books read to me by Daniel Philpott. Surely even macho men could enjoy this story of a muscular soldier and his struggle to get his "uppercrust" relations to accept him. Excellent story and an excellent narration. Absolutely. It's a fantastic comedy of manners in which a "fish-out-of-water" hero is thrust into the midst of his not-so-loving family and proceeds to sort out all their problems. It's funny and warm and witty - and the performance is one of the best I've ever heard. Hugo. Clever, level-headed, and with a terrific sense of humour, he plays the common-as-muck dimwit because that's what his family expects him to be, and all the while is sizing them up and having a bit of fun at their expense. Which character – as performed by Daniel Philpott – was your favourite? Again - Hugo. It's a brilliant performance all-round, but Hugo is sigh-worthy. This is Heyer, so it's squeaky clean, but in the more tender scenes, he gives Hugo a lovely deep, soft tone which is quite knee-weakening! I laughed several times, especially towards the end when Hugo has to pull everyone back from the brink of disaster. 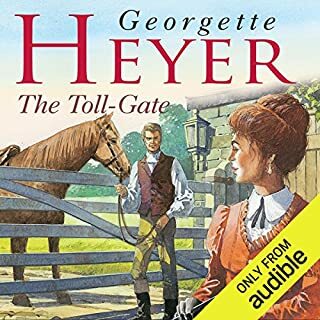 If you're a Heyer fan and haven't listened to this yet, you really must - it's one of the best of her audios. 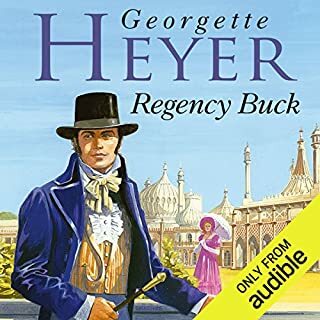 And if you've not listened to or read Heyer yet, then this is a fantastic way to start. Daniel Philpott brings the book to life in a way I didn't experience when reading it. This audio book was absolutely fantastic!! 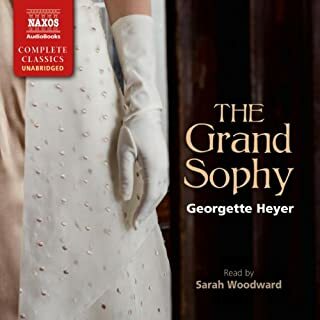 Its one of my favourite stories (after The Grand Sophy)(please make it available on audible soon!!!!). The narrator did an excellent job with this. He managed to do many different voices and accents, I thought he did the lady character voices particularly well, not making them sound falsetto like a lot of male narrators seem to feel the need to do! Overall I really really enjoyed this and will probably begin listening to it all over again even though I've just finished it! 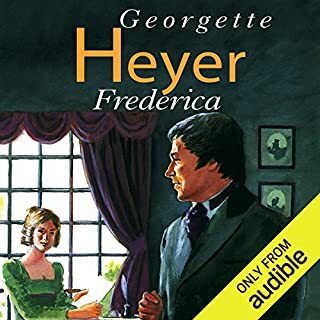 This is one of my favourite of Georgette Heyer's books. Full of humour the central character Hugo comes from Yorkshire to his unknown family to inherit his grandfathers estate. The story tells how he coped with the hostility of his family by droppping into a strong Yorkshire dialect and pretending to be a nobody. He ends by saving the family from disaster and falls in love with his cousin, the heroine of the piece. The book is a great read with warm characters and many humours twists and turns. The only thing that has stopped me awarding 5 starts is the reading. 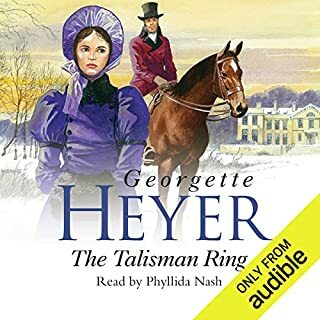 It isn't read in the voice of my imagination (which most of the Georgette Heyer's are on audible) it doesn't especially detract from the story but definitely doesn't add to it either. Although the narrator does a good job on most of the characters, his inability to portray a true Yorkshire accent makes listening to this book too much of a chore. I'm from Yorkshire so I can assure you the best I can say is Hugo is vaguely from the North. I may have been able to put up with it if the narrator had only used the brogue in the few places where it is used in the book. 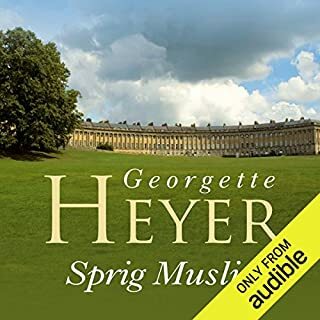 For most of the time Hugo speaks the Kings English, as Anthea calls it, only slipping into Broad Yorkshire every now and again as is evident from Heyer's dialogue. Unfortunately, the narrator chooses to have Hugo use it the whole way through, despite Hugo saying he wasn't allowed to use it at home as a child or later when he went away to school. Meaning he doesn't speak with a local accent. I'm sorry to leave such a negative review but the errors in production are too big for me to ignore. I'll be returning this for a refund. This one is a bit slow at first but stick with it. It’s worth it. There are some nice surprises. I am finding that I want to slap some of the main characters in her books, mostly females, but that might be just a well developed character. The performance was well done and easy to listen to. This is the story of Lord Darracott bringing his heir to his estate so he can whip him into shape for his interitance. The Lord, nor any of his family, have ever met the heir because the Lord never thought the estate would go to him (there were two others ahead of him). In fact the Lord never told his family that the person even existed. The new heir was born to a son that the Lord had thrown out of the house and his life because of what the Lord thought was a very imprudent marriage. The new heir comes to the estate to meet the family. As the family sizes him up, he is also taking their measure. I love the heir (his name is Hugh). 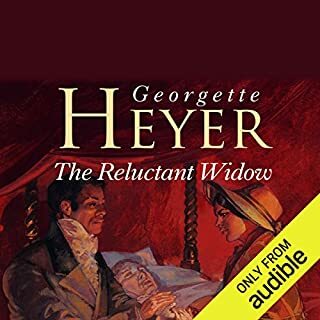 I think Hugh is one of Heyer's best characters in all her novels. There are also some other truly great characters in Unknown Ajax. Hugh's cousins are all vivid characters with totally different personalities. 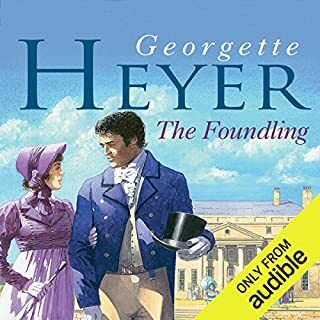 Of course there is a romance involved (a very entertaining one) and I find this to be one of the most humourous of Heyer's novels. The scene at the end of the book (all the activity relating to "the shooting") is so funny I lauched until I cried. In fact, I found the book even funnier in the audible version (and this reader's performance) than it was when I read it. What a wonderful book. It is one of my favorite Audible purchases. 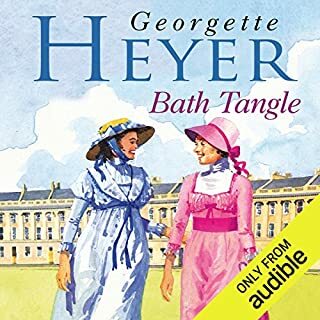 As always, Georgette Heyer is a delight!!! Daniel Philpott's narration was perfect!!! 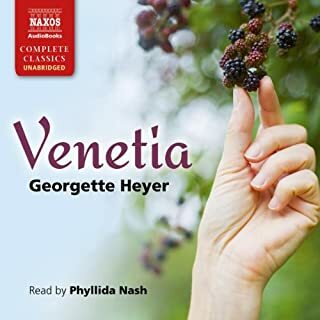 I have read and re-read Georgette Heyers for more years than I care to count. The Unknown Ajax has always been a favorite yet I derived new pleasure and more enjoyment from the fabulous voicing of the main character Hugo. Reading it myself, I was never able to do justice to the language or the subtle humour that comes out when someone reads it well and with the right sort of accent. What a pleasure! This is a good book that was well read by a reader who was easily able to distinguish between the different characters. The book was more amusing than I had remembered. Very enjoyable listening. Light and Lively -- Just right! I read mysteries and thrillers almost exclusively. However, every now and then, I need a change of pace -- something different to "clear the palate". 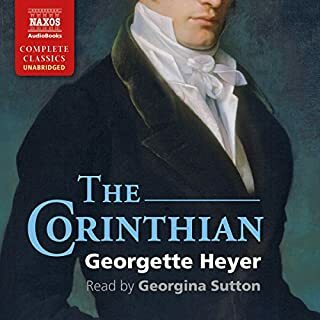 A Georgette Heyer Regency romance is the perfect thing to direct my mind away from all the crime and violence I've been reading about. Heyer's books are light, lively and full of wit. 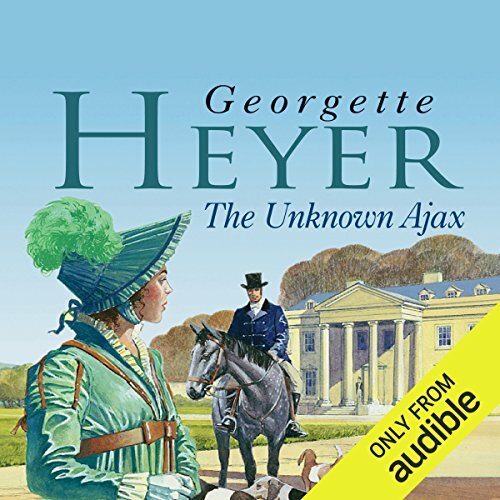 "The Unknown Ajax" is one of the best of Heyer's stories, with all the usual elements : aristocratic characters, a fortune or lost fortune, an unmarried daughter, a handsome young man, another plot bedsides the romantic one, Heyer's excellent writing, lively, witty dialog and always a happy ending.. But in addition to those things, in this case, cantankerous Lord Darracott is obliged to recognize as his heir a grandson by the Lord's second son, who becomes the heir upon the deaths of the oldest Darracott son, along with his son. I'm not sure how this results -- I suspect it has to do with the indecipherable rules of primogeniture or other laws of succession in England. In any case, the new heir has never been met by any of the Darracotts, and only Lord D even knows of his existence. When Lord D's second son married the daughter of a "weaver," they became estranged and ceased all communication. When the new heir, Hugo, arrives at Darracott Place, he sees that the family are expecting him to be a bumpkin with little or no education or manners, and no intelligence to speak of. So he acts like the man they are expecting. From there on there follows much lively discussion, and a run-in with the customs men regarding a bit of smuggling. And of course all is well at the end. I enjoyed this book enormously. A lot of this book hinges on the voices and accents of key characters, and they're so well done here they enhance the story. 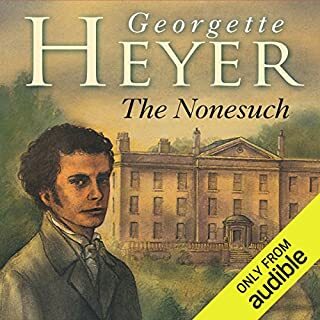 This is my favorite Heyer narrator so far; wish he'd done more of them. This is one of the best audiobooks I've ever listened to. The characters are believable and appealing, and the plot is highly entertaining. 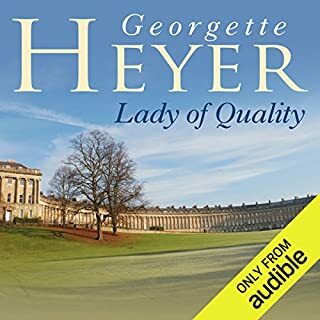 I haven't read many books by Georgette Heyer (only one other, years ago), but if this is indicative of her usual writing style, I'm impressed and anxious to try more. The dialogue and plot are so amusing, I laughed out loud more than once. I'm a little picky about books, but listened to this one completely cringe-free. As for the romance.....this is my idea of perfection. Subtle and irresistible! There was nothing contrived or predictable at all! The performance by Daniel Philpott was astounding. I'll be searching out his other performances without delay. I am still a little awed by his talent. In fact, I can't be entirely sure that wasn't one of the reasons I'm so enthused about the book in general! I don't usually take time to write reviews (I'm not proud of that), but I didn't want anyone to miss the opportunity to try this one out. It was just a thoroughly delightful experience from start to finish! ...but it finishes well! The hero is like those people you like, but are a little irritated with because of what appears to be simple-mindedness. 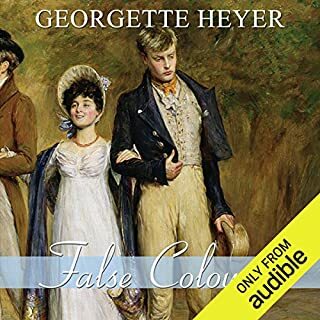 But I should have known Georgette Heyer better than that! It has all the Usual Suspects, the highborn but slightly impoverished aristocrats, the beautiful daughter, the irrascible old patriarch, disappointed Second Son, and assorted dandies, caustic-tongued young men, and pink-cheeked innocents. Stir in some mysterious ghostly doings, and a nice bit of history, and this story is most palatable. Like listening to a hilarious English stage play! Upon re-reading this book, I had to revise my rating from 3 to 5 stars. This is a fabulous story of bluffs, hoaxes, schemes, and other hilarious acts of deception. Hugo, the "unknown Ajax", is a truly charming character, and the supporting cast is outstanding! 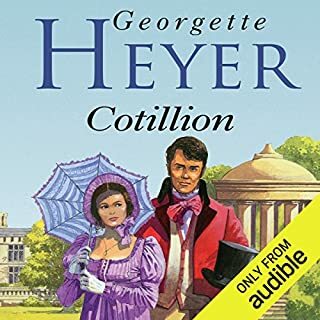 This would make a wonderful play, and listening to it as an audiobook, with Hugo's broad Yorkshire accent, really heightened my enjoyment of the book. 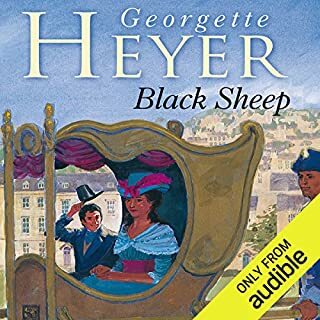 Georgette Heyer writes a wonderful authentic period romance, the depth is there to make it a realistic and interesting story.